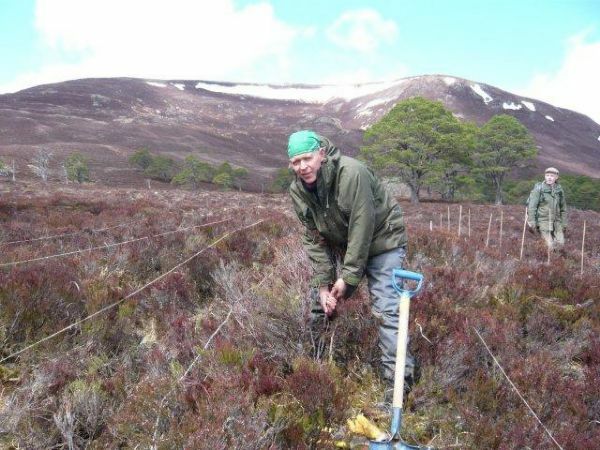 Shaila is a hands-on, practical conservationist who is helping change the face of Mar Lodge estate to restore it to a more diverse ecological unit. She is a budding film maker and founder of the local Kids nature Club in Braemar and the Deeside Black Grouse study group. Shaila has also played an important role in the success of BBC Winterwatch which has been based at Mar Lodge for the last two years. "Over the years I have been lucky to work on a number of conservation research projects both in Scotland and overseas. This has involved working with exciting and rare species in some beautiful and wild places from Scottish wildcats here in Scotland and weasels in England to Mississippi Sandhill cranes in the USA and Arctic foxes in Sweden. For the last 14 years I have been employed as the Ecologist for the National Trust for Scotland on Mar Lodge Estate in the Cairngorms. Working at one site for this length of time has allowed me to experience the changes over time much of which is due to the Trust’s positive management for conservation. It has also given me the opportunity to work alongside and learn from a diverse group of people including local kids, adult volunteer groups, ecology specialists, wildlife filmmakers and TV producers". "I feel passionately about inspiring children to learn about the wildlife and countryside around them and to develop a desire to respect and look after this for the future. At Mar Lodge I established a local kids Nature Club a number of years ago and the estate continues to work closely with the local school. I am a lover of wild places and I am keen to see the wild land areas of Scotland stay that way. At Mar Lodge Estate we recognize the value of wild land and underpinned by the NTS Wild Land policy, we work to maintain the wild land quality of much of the estate for people to enjoy. I enjoy trying to increase people’s awareness of the work of NTS and the amazing scenery and wildlife that Mar Lodge and its other properties support. 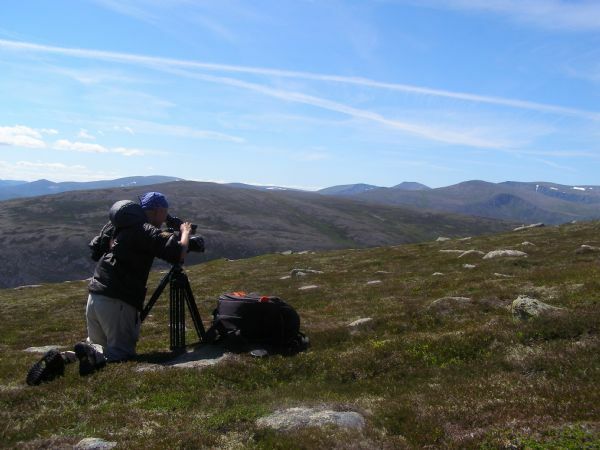 To this end I have been involved in a wildlife filming project and have been making films at Mar Lodge to be shown on the NTS Nature Channel. I have also been heavily involved in the production of BBC Winterwatch which has chosen Mar Lodge as its base for the last two years. Finally, I am strongly motivated to see the restoration of woodland habitats across Scotland, particularly the native pinewood and the species associated with this. 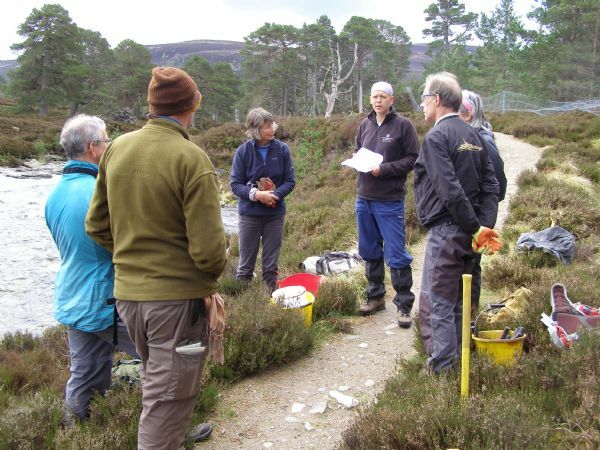 At Mar Lodge the monitoring which I carry out provides the evidence as to whether our management to encourage regeneration of the woodland habitats is being successful. I think the kids enthusiasm and curiosity for the environment around them which we have helped to foster must pay dividends in the future in their attitude towards the countryside. I feel people can experience as wild an experience as you can get in Scotland on Mar Lodge Estate – the scenery, wildlife, space and lack of signs of man. We need to keep it that way!" "I believe through the NTS Nature channel, Winterwatch and other such initiatives, more of the population is learning about the countryside and conservation issues. This has to be a good thing. In the last few years we are seeing a huge difference in the abundance and distribution of tree regeneration at Mar Lodge, after a 200 year period with none. Young pines and broadleaved species are popping up all over the place and are now growing free from browsing by deer. It gives me great pleasure to see the woodland slowly starting to come alive again. Positive change and progress do not come easily in conservation – persistence is required. For example, throughout the uplands of Scotland deer management is a challenging issue when trying to get woodlands to regenerate. What I have learned is that the hard work and commitment does pay off. So get out there and do it – that way change will happen". Let us know who or what inspires you? Keep up to date with where to go to be inspired.